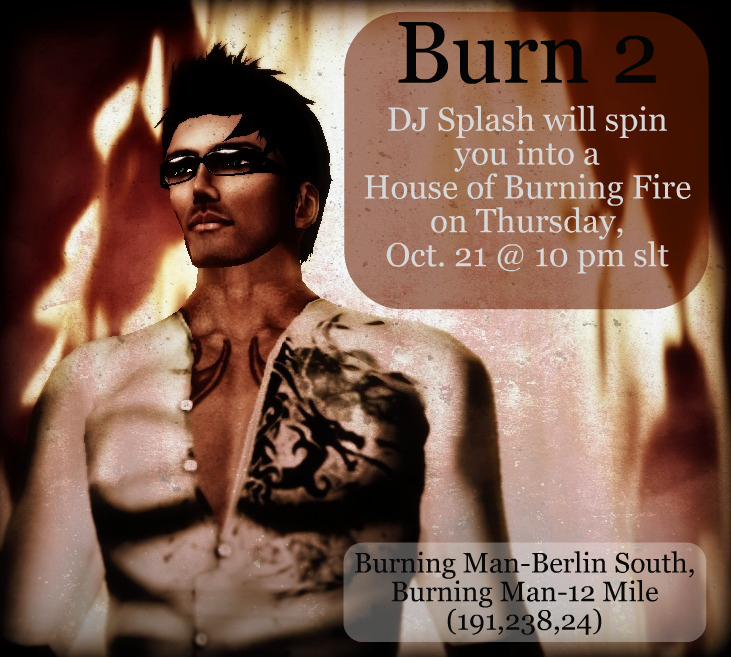 I’m scheduled to DJ at Burn2 in Second Life on Thursday, October 21st, 2010 at 10pm to Midnight (PST). I’ll be performing on the Berlin Stage and plan on doing at Vocal House/Vocal Electro Dance kind of mix. All things being equal I should be using Traktor Scratch Pro as my mixing DJ software for this gig. For those who are not aware, Burn2 is a Second Life community run event that goes from October 16th to October 24th and is the virtual world equal to the real life Burning Man event that is held in the desert location of Nevada, USA. The Founder, CEO of Linden Labs, the company behind Second Life, has previously indicated in interviews he’s given that he went to a Burning Man event several years ago when he was just putting together Second Life and found the experience to such a great inclusive community based experience that reflected a lot of the values he wanted to develop into the Second Life virtual world platform. As such Burn2 helps to celebrate for a week some of the core values of what the Second Life virtual experience is all about. Even if you can’t make it out to my gig this Thursday, and you’re a member of Second Life, please take some time to check out this great event that celebrates so many areas of creative expression within the artistic communities. This entry was posted in Alternative Music, Art, DJ, Electro, Music, Non-Profit, Relay For Life, Second Life, Social Media, Virtual Reality, Vocal House. Bookmark the permalink.